While Ross and I were in Colorado skiing, I found out I was nominated and selected to be Louisiana Tech University's 2014 College of Engineering and Science Industrial Engineering Distinguished Alum. I was stunned! I've been fortunate enough to go to the event where the distinguished alums are honored for the last several years as member of both the Industrial Engineering Advisory Board and the Engineering and Science Foundation board. The people selected for this honor are always amazing individuals, and I certainly felt humbled to be considered one of their equals. As I sat at the event listening to the description of each of the individuals selected in their fields, I wanted to slip under the table because I didn't believe I fit the bill! When they got to my name and started describing my accomplishments, I leaned over to Ross, laughed, and told him they make me sound really good! After receiving the award, I got to say a few words. For me, it was an opportunity to let my families, my blood relatives and my LA Tech family, know just how much they have been a part of my successes and that the success I consider to be the greatest is that I have been able to carry forward the caring leadership they demonstrated to me. Even now as I sit here recalling the event, I realize how much everyone in that room has contributed to making me who I am today. My parents poured everything they could into developing me and preparing me for the world. My professors not only taught me technical knowledge, but also team and leadership skills, as well as genuine care and passion for whatever I do. My husband and my friends taught me loyalty, support, grace, and accountability. My board member peers shared their wisdom and insights and encouraged me each step of the way. I think I am most grateful these relationships are nowhere near ending! I look forward to a lifetime of growth in these relationships, and I look forward to seeing who I continue to become with their love and support. 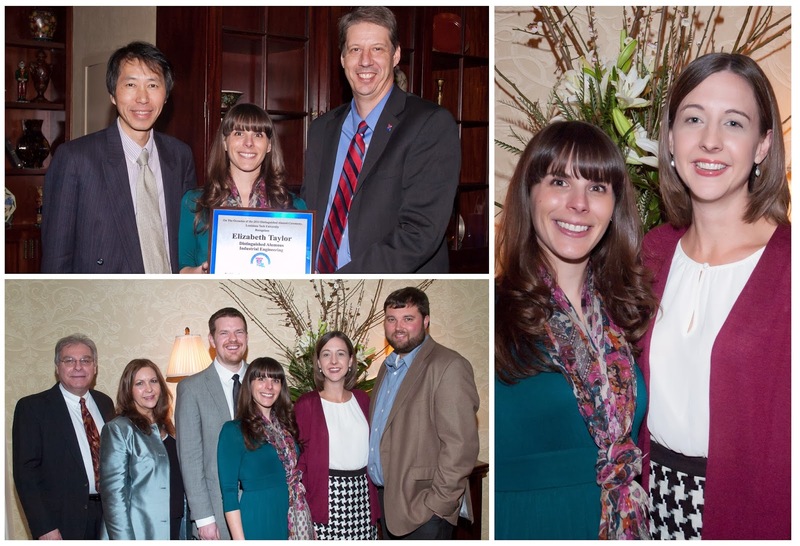 Here are a few pics of me receiving the award and of my closest relatives and friends. Less than 12 hours after I returned from my leadership training in CA, the entire family and our friends, the Fullilove family, were on a plane to Denver! 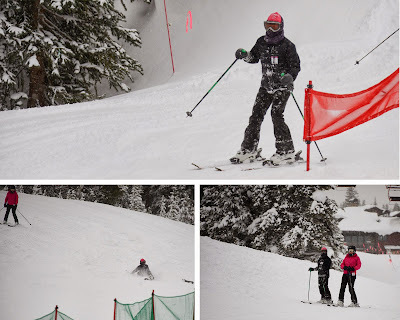 We spent the weekend attempting to ski at Copper Mountain. It was a first for the entire Taylor clan! We arrived on Saturday and spent the day acclimating and grocery shopping. We spent a little time playing in the fresh snow, throwing snowballs, making snow angels, eating snow, and attempting to sled. 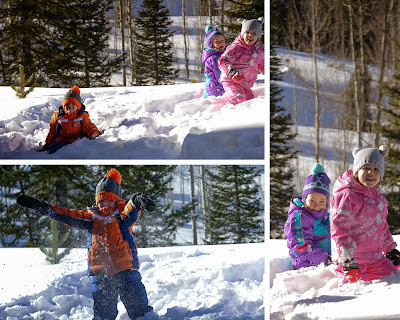 It was fun for a while, but the kids got tired quickly and began complaining...we were worried about what that might mean for the days to come. That evening Jackson experienced a little elevation sickness, which made us worry even more. Fortunately, we got him hydrated and rested, and he was ready to go the next morning! 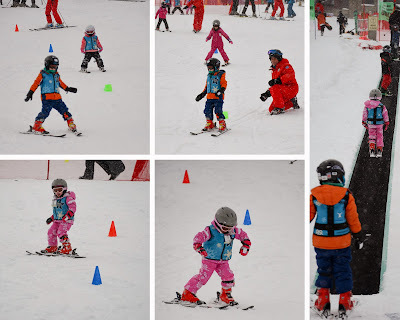 We loaded up and got the kids checked into ski school first thing on Sunday. Then we checked ourselves into lessons! 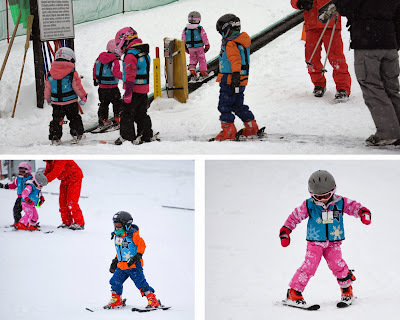 We practiced getting in and out of skis and learning the basics. Then we moved onto a hotdog lift and a little free skiing for practice. Next, it was time for a real lift! We made our way up, and we each made it down the easy green once. Unfortunately, as I was taking the lift back to the top, I could see Ross picking himself up after a fall. I didn't think much of it until I got back to the bottom again and found him debating what to do. He heard/felt a pop in his lower leg when he fell and was in a lot of pain. I quickly took the lift back up again to find our instructor who rushed down with me following closely behind. The instructor called one of the rescue folks. While waiting, our instructor did an initial assessment and took really good care of Ross. When the rescue guy arrived, he sledded Ross to a nearby warming hut to better assess the injury. We were in luck because he was a Physician's Assistant! After a lot of questions, some poking around, and a few cries of pain, it was determined that Ross likely strained/tore a muscle in his calf. After wrapping his leg, they got us a ride back to the resort, and helped Ross inside. The instructor stayed with us through the whole experience! Once we were inside, he helped us get all of our ski gear put away, and then helped Ross to the bar for a beer! Needless to say, he got a nice tip for taking such good care of us. Ross is convinced that tip is why the instructor came back a little while later and offered to take me down another longer green run since our lesson had been cut short. I'm convinced he would have done it either way! Ross spent the rest of the trip recovering at the resort. The silver lining was that he was able to take some pictures! The kids did great in ski school! Their instructors not only thought they did well learning how to ski, but they also complimented them on their behavior and treatment of one another!!! They said they've never had a brother and sister that took such good care of each other! At the end of day 1, Jackson was doing well with the basics of stopping and going, and Audrey was very close to being able to stop on her own. The next day, we got the kids dropped off and Ross set up at the resort. I joined Emma, Chris, and Clara for a day of skiing. It was a lot of fun! Since Clara is still relatively new to skiing too, the pace was slow enough for me to keep trying out new things and better get the feel of skiing. Clara gave me a hard time because that meant I fell a little more. I kept telling her, "you're not learning if you're not falling!" I'm not sure she bought it though. At the end of day 2, both kids were working their way through the cones and stopping well! We checked with the instructor, and he thought Jackson was ready for the green run! Audrey is, unfortunately, still too young for the lift. 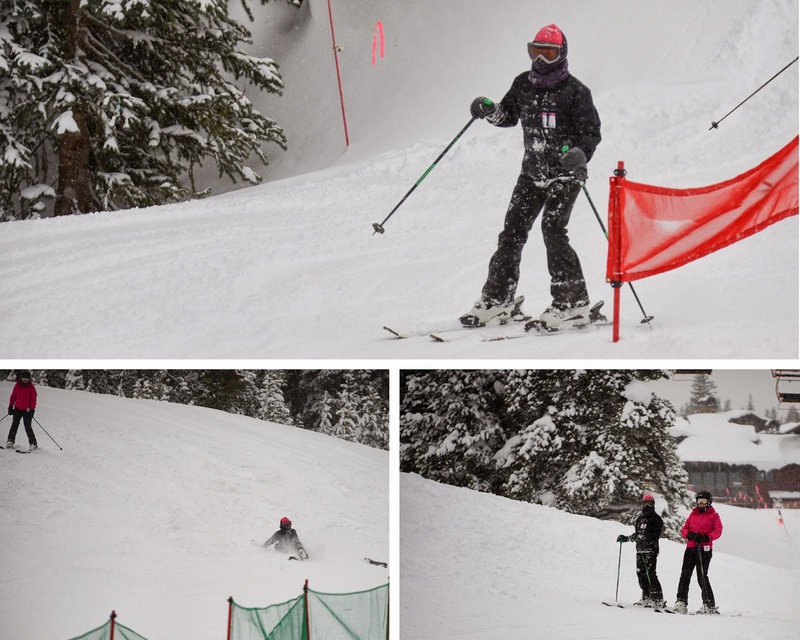 However, we were all so impressed with how natural she looked in her skis and going through the cones. Jackson was beyond excited though! He loved riding the lift to the top. About halfway there he looked out and exclaimed, "Wow! It's so beautiful up here. It's so peaceful." It snowed the entire time we were there, which meant the tree limbs and everything around us were blanketed in snow. It really was amazing! Jackson did great going down with Emma's help. She skiied backwards almost the entire way. When she wasn't backwards, she was "helping" Jackson go a little faster down the slow parts by essentially carrying him. He loved that so much, she took him down the last part of the run so he could go really fast! 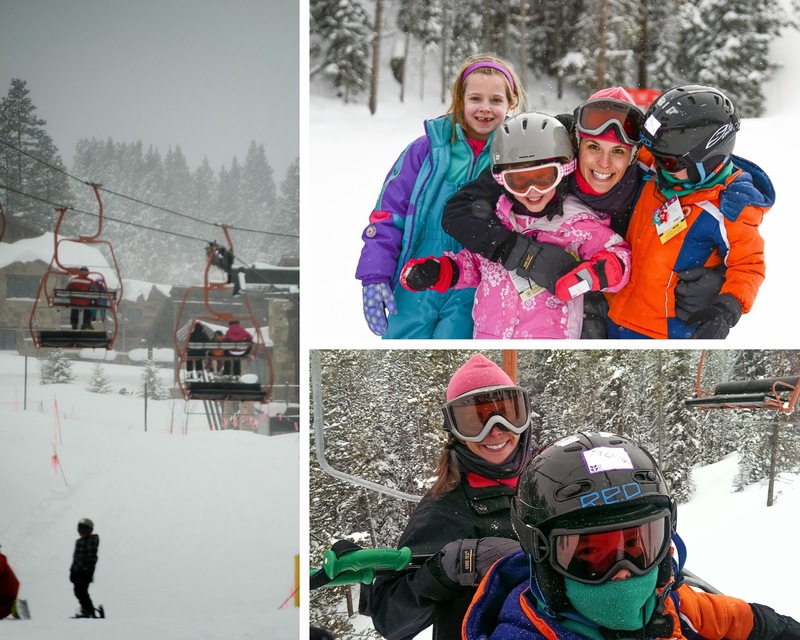 The kids and I had an incredible time learning to ski and can't wait to go back someday. We're all bummed Ross wasn't able to join us more, but he says he's willing to try again! There are more pics of me falling...I mean all of us skiing in the album!